I have been brought up in the countryside with a major interest in all things farming and conservation, and getting involved in any past times and hobbies that got me outside. I did work experience with an agronomy company at the age of 13 and loved every minute of it. I continued doing work experience in the following years. I went on to study Agriculture at Nottingham University specialising in crop science in my final year. I have always had an interest in plants and crops – how we can enhance their yield and quality. Heavily involved in Young Farmers in my home county, which has proved very beneficial with my customer base. I am an outdoors person at heart; I couldn’t and wouldn’t be able to survive in an office job! I did work experience at the age of 13 with an agronomy company and loved it and from that point wanted to follow and get to my dream job. I always knew I wanted a job in agriculture and I really enjoyed plant biology throughout school and sixth form so to then go on and do a biosciences degree in Agriculture it was the next step and I have loved it from day one. I was very lucky that from a young age I knew what career I wanted to follow. Why did you choose Agrii? It is a forward thinking company at the forefront of agriculture that appreciates that the younger generations are key to the future of agriculture. It has a wealthy of knowledge within the company and an excellent R & D portfolio. It is a company that appreciates that there are very few new actives coming to the market, if at all and has strived to find alternatives to pushing and increasing yield – precision farming, nutrition, irrigation planning. My recruitment was a bit different to the average ‘reply to an advert’ but that might be a good thing to encourage people to send their CVs in. One of my now customers advised me to send my CV into the HR department to see if there were any vacancies for trainee agronomists. The HR department organised a day out for me with one of the agronomists in the area which I really enjoyed and learnt a great deal more about the job and what it involved. I then had a day out with my ‘to be’ manager and met the head of HR for an interview. They then offered me a job and I happily accepted! What training and development have you received? What about qualifications? Due to my degree in Agriculture from Nottingham University which was very much bioscience based I had a good basis to start with. I was already in the process of starting BASIS when I accepted the job offer. The company put me through BASIS and FACTS within the first 6 months of joining them. This was on an external course where I met a lot of other farmers and professionals from the industry. The company then put me through BETA internally. Sales training was a major part of the training program and taught myself and the other trainees across the country how to cold-call and sell successfully. I spent many days out with my colleagues seeing how they worked, learning more about the job, how to thrive and be successful. This is where I picked up the most knowledge of the job and it proved invaluable in my progress. 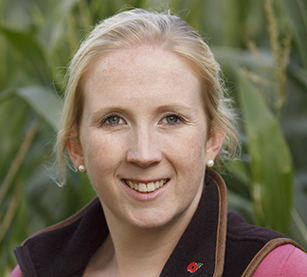 I work in the South-East team as an agronomist within Essex, Suffolk and Cambridgeshire. The ability to use my degree in my day job! Working outside in all weather, advising farmers and helping them to achieve good yields and to improve the yields. Helping farmers by giving them guidance on all manner of topics linked to farming but not just agronomy. It can be a lonely job at times but that’s where my cocker spaniel comes into it! The ability to take my dog to work with me is great. Cold calling….I am yet to meet a person who enjoys this! What piece of advice would you give to young people aspiring to a career in the industry? Be determined, the hard work will pay off; strive to achieve your goals. Listen and act on advice from other people. Make as many contacts as you can. How do you see your future panning out and/or the future of agronomy/seed/farming in general? Increasing business portfolio, there are hardly any new active ingredients coming to the market. The farming industry will need adapt in the long term. To be able to move away from the reliance on sprays and think more of rotation, feeding the soil in order to feed the crops and managing soil nutrition, using more competitive crop varieties to help compete out weeds, precision farming to even up yields within fields.